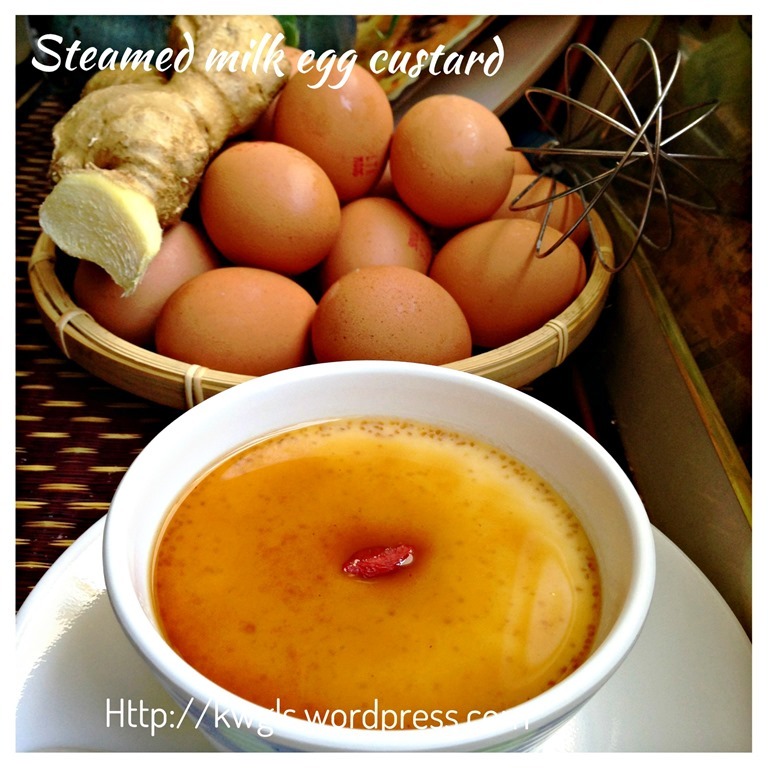 Steamed some ginger milk egg custard dessert today. 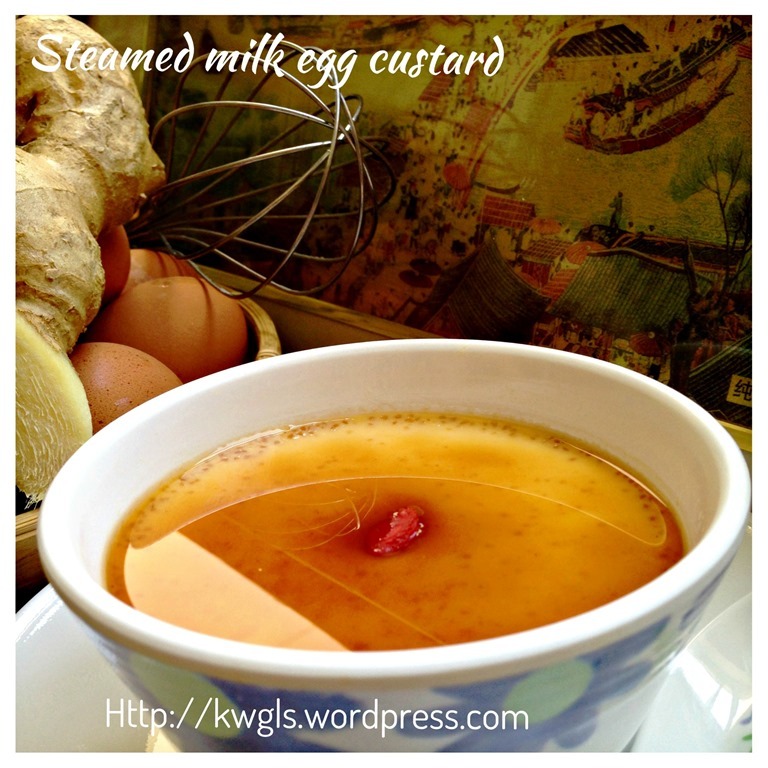 I have slightly amended the recipe in red to add in boiled ginger juice and upload some new pictures.. 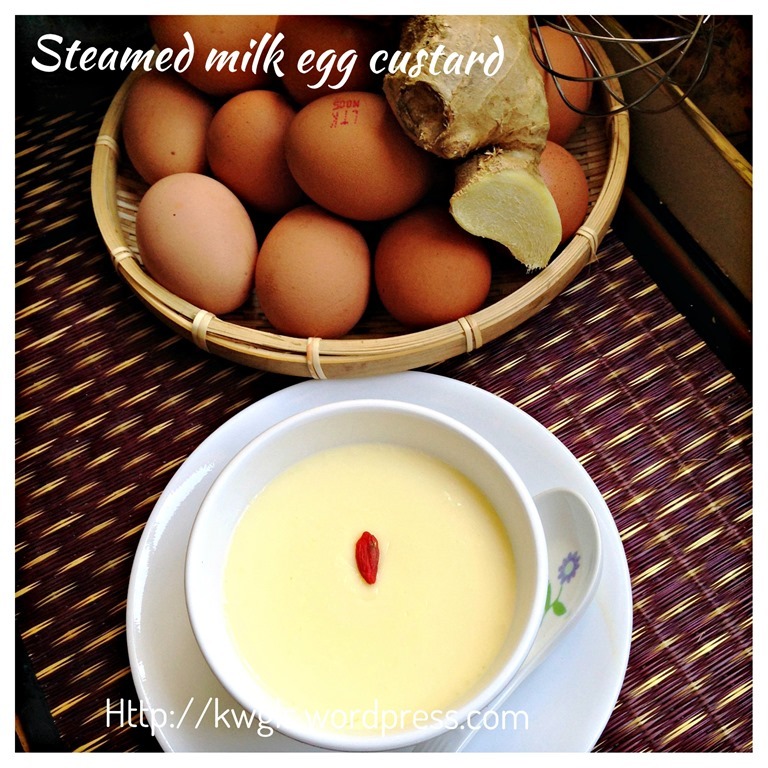 Since there are ginger in the custard, no ginger syrup were prepared. 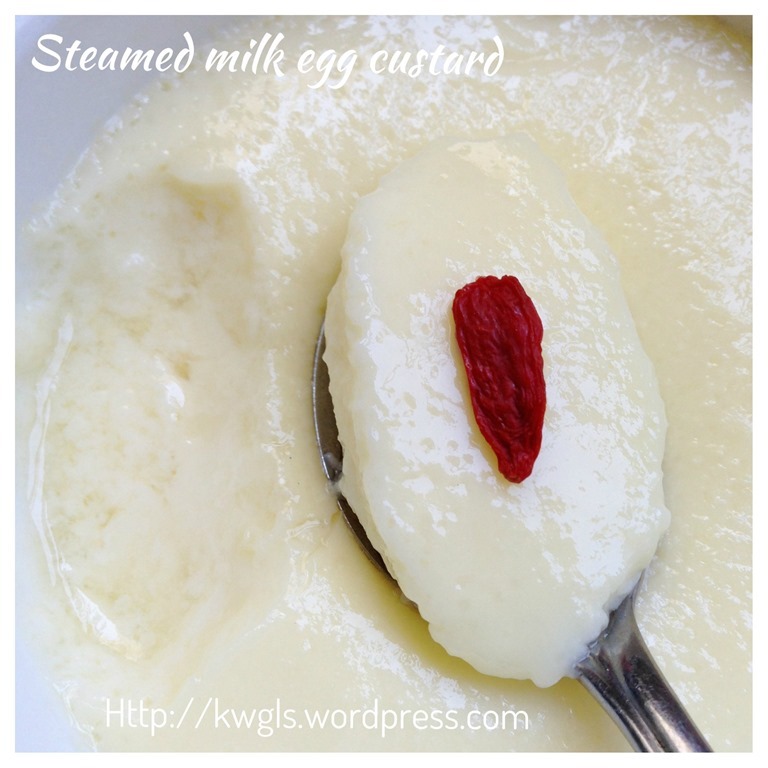 I loved to steam eggs and I am very pleased with my savoury steamed eggs. 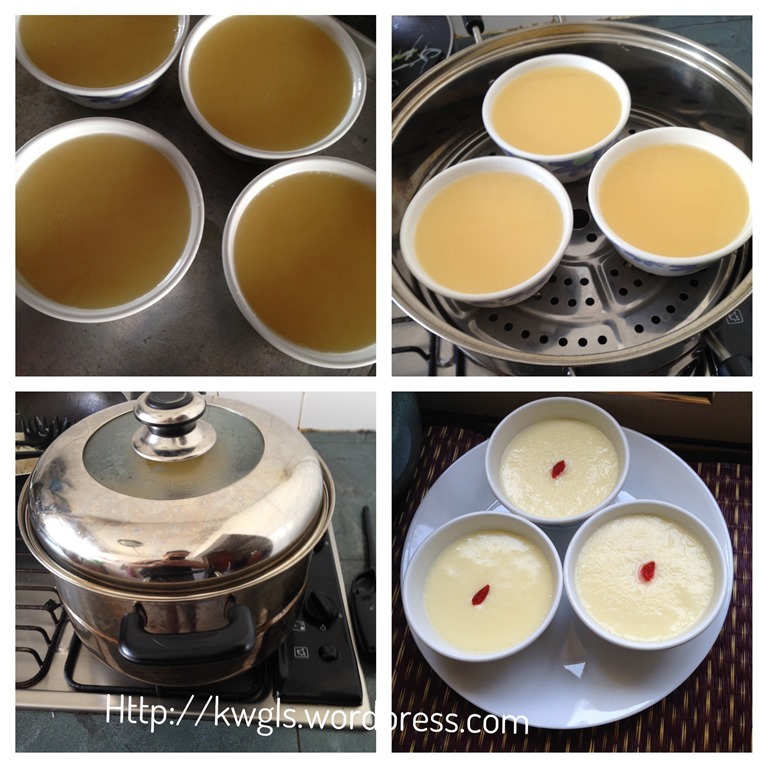 The picture below is my savoury tofu steamed eggs prepared for my families 2 days ago. 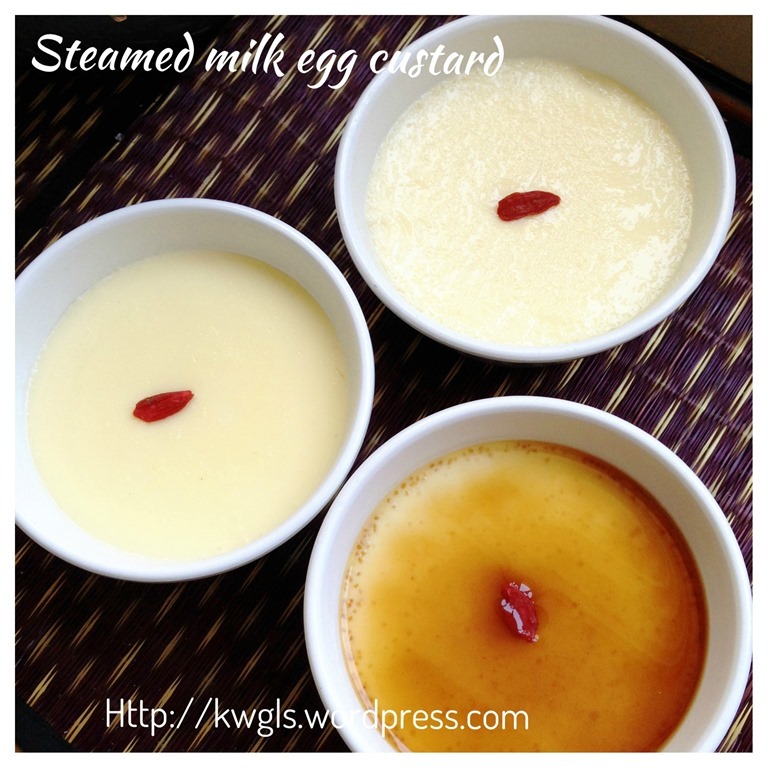 When I posted the above picture in my Facebook Food Group: Food Bloggers and Foodies United , one member asked me if I knew how to steam milk custard with ginger juice （姜汁撞奶）that were commonly sold in the Hong Kong dessert shops。 I told her that I can try to replicate that on my very own ways. In fact, I did not look for any recipe in the internet. 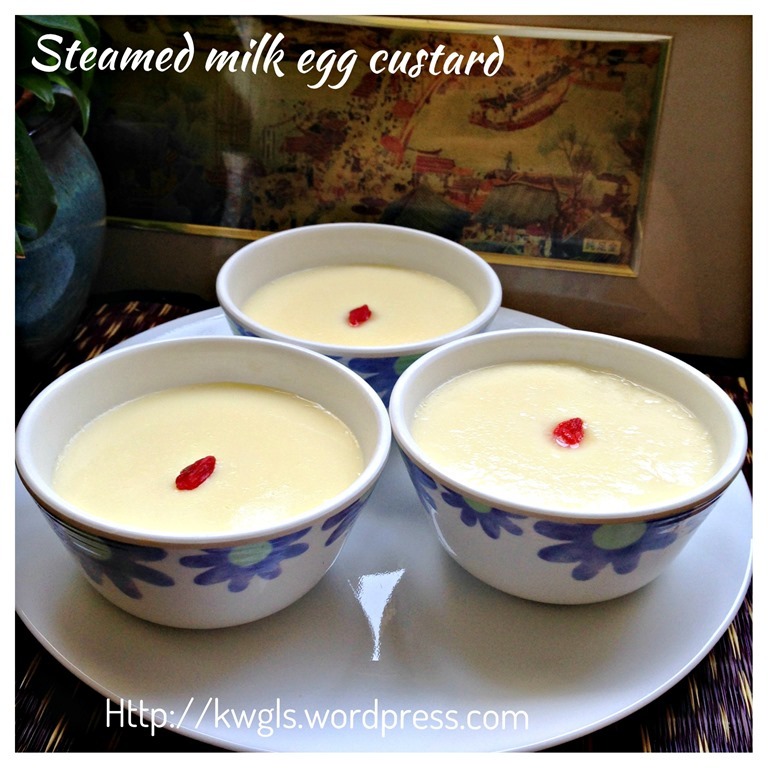 I just transformed my savoury steamed eggs recipe into a dessert steamed milk and egg custard. Prior to the issuance of this report, I found out my very own recipe is very different from most of the traditional recipes. I have therefore decided not to associate my recipe with the famous dessert for the fear of misunderstanding. 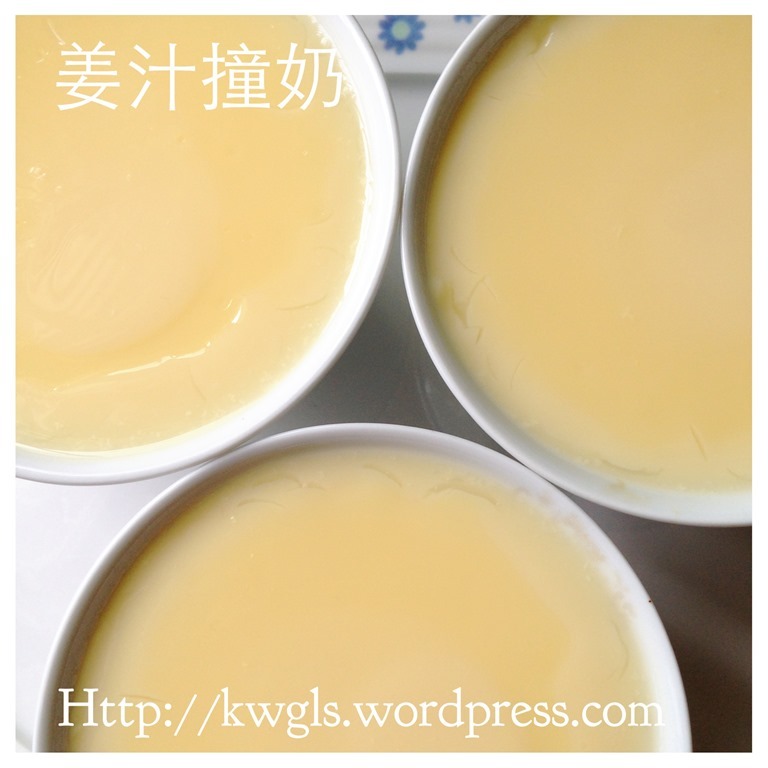 Traditional recipes uses only egg whites and some don’t even used eggs at all with just pure fresh milk. 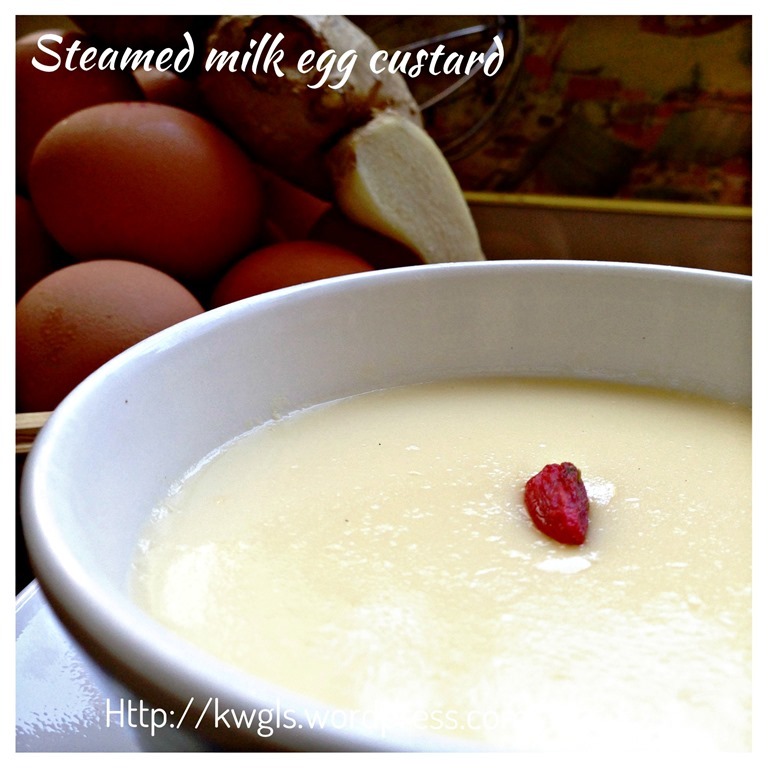 I have also decided to name it as Steamed egg and milk custard (蒸奶蛋甜品）. As my kids do not like ginger, I have therefore omitted ginger juices in my preparation. However, before I served, I find it especially nice to go with ginger syrup. 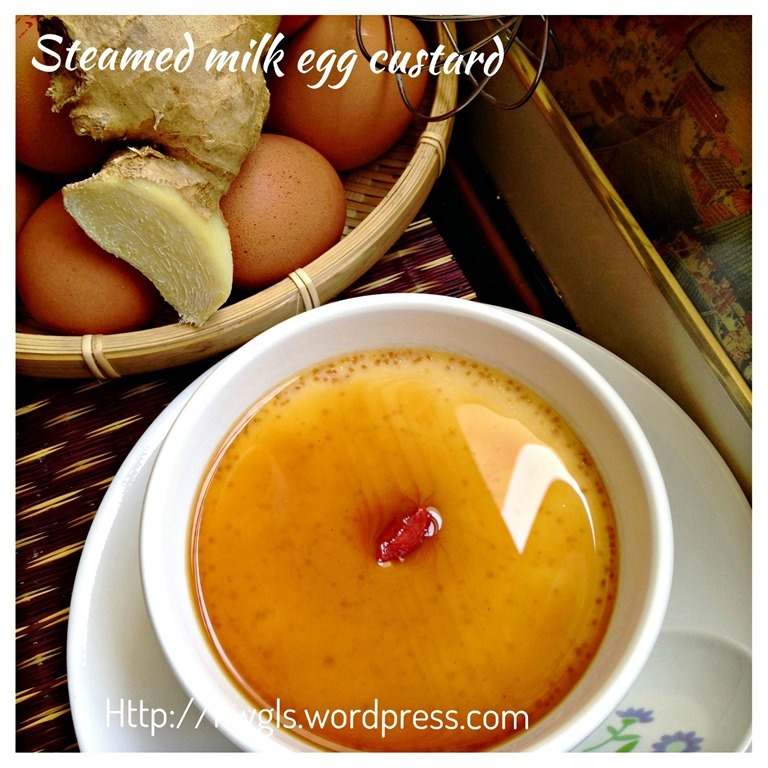 The ginger syrup preparation is not covered in this post and you can easily get the ready made ginger tea in the supermarket. As for the kids, I have served them with Gula melaka or coconut sugar syrup. Other possible syrup are maple syrup or caramelized golden syrup. 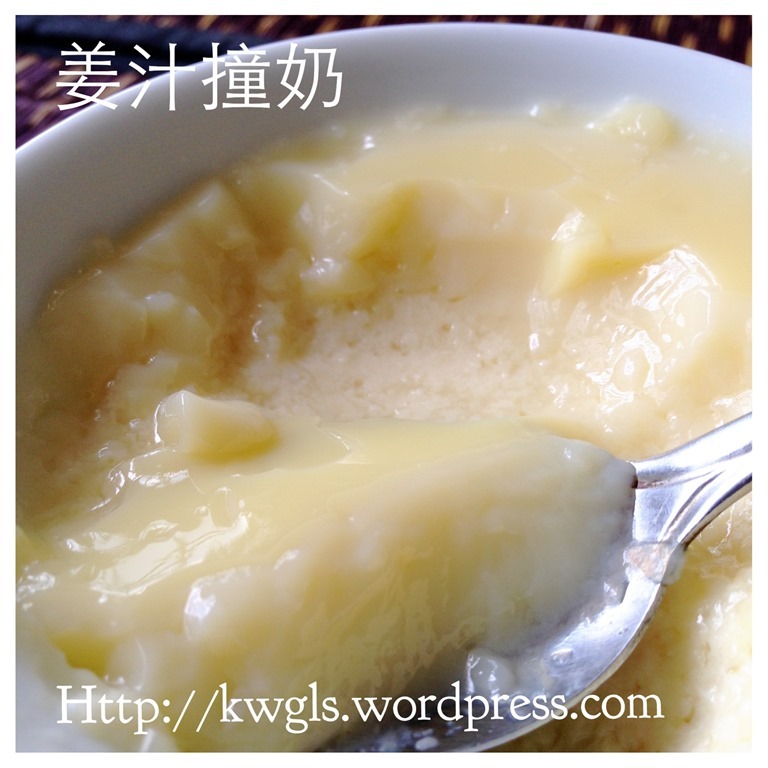 Note that though condensed milk were added to the recipe, it is more for the milky flavour rather than for the sweetness. Therefore, don’t worry that the dessert will be too sweet. It is design for you to go with the syrup especially with the black ginger syrup. 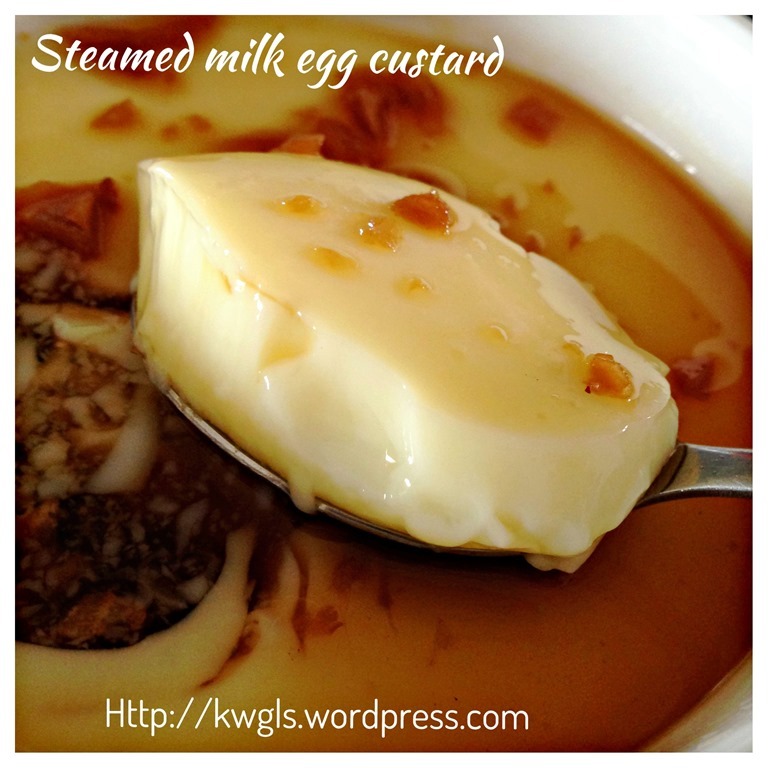 Just like the way bean curd puddings are served with syrups. Get ready a steamer capable of steaming the custard for about 10-15 minutes. 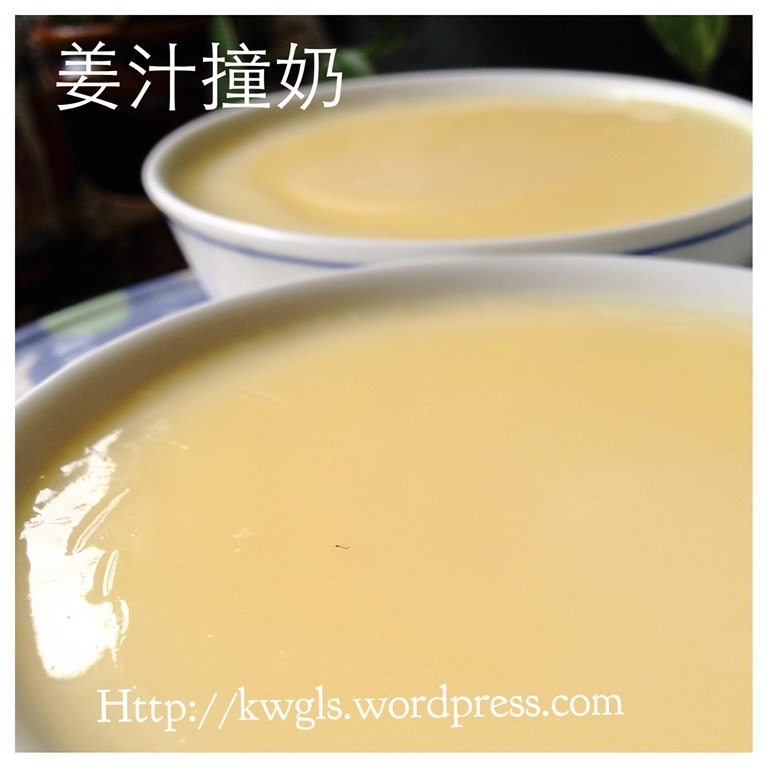 Put eggs, condensed milk and corn flour, beat for 1-2 minutes. Add in 1/3 of the lukewarm water, beat until well combined. Repeat the same procedure for the other 2/3 of the water. 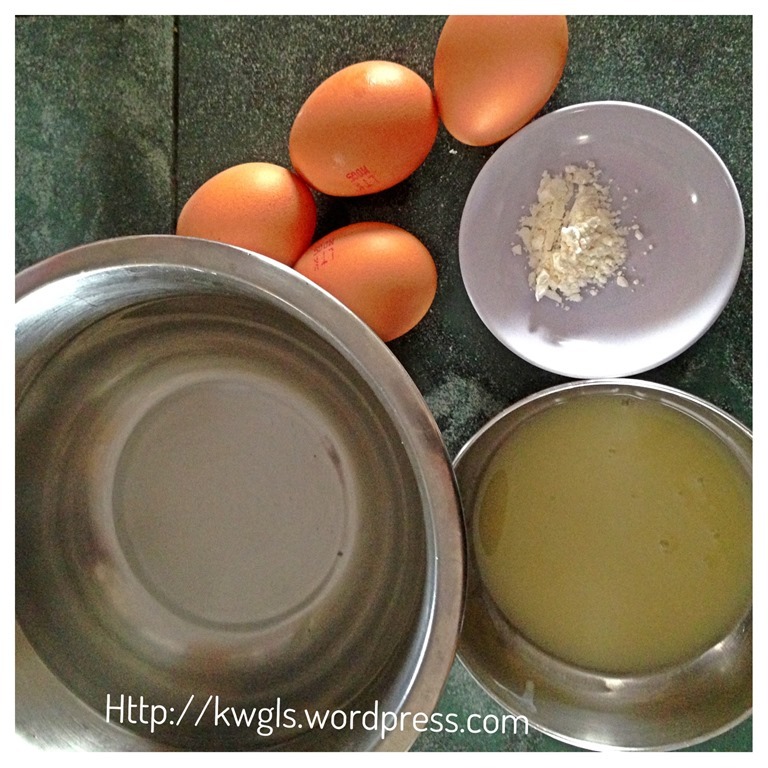 Sift the egg mixture to your desired steaming bowls. 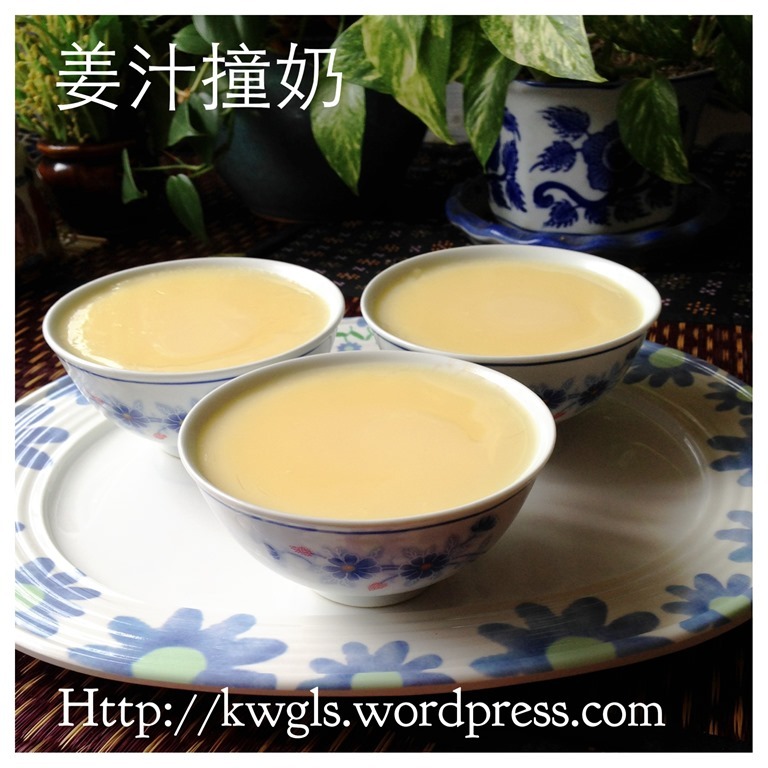 For boiled ginger juice, pound about 10 cm long fresh ginger and extract the juices. 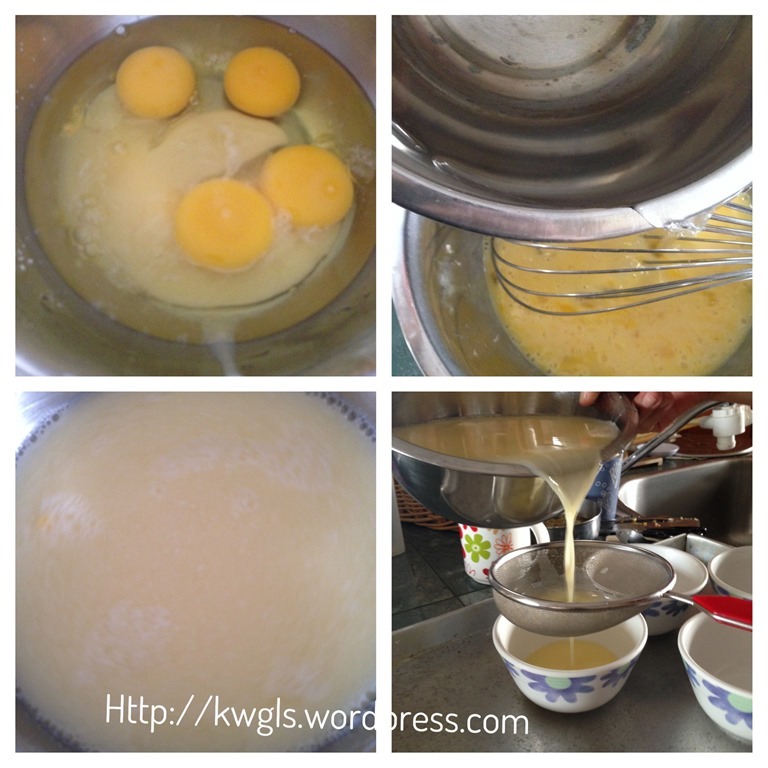 Add water until it become 3 cups. Bring to boil and pour to the above mixture when it is lukewarm. (note that if you use this, there is no need to use lukewarm water). 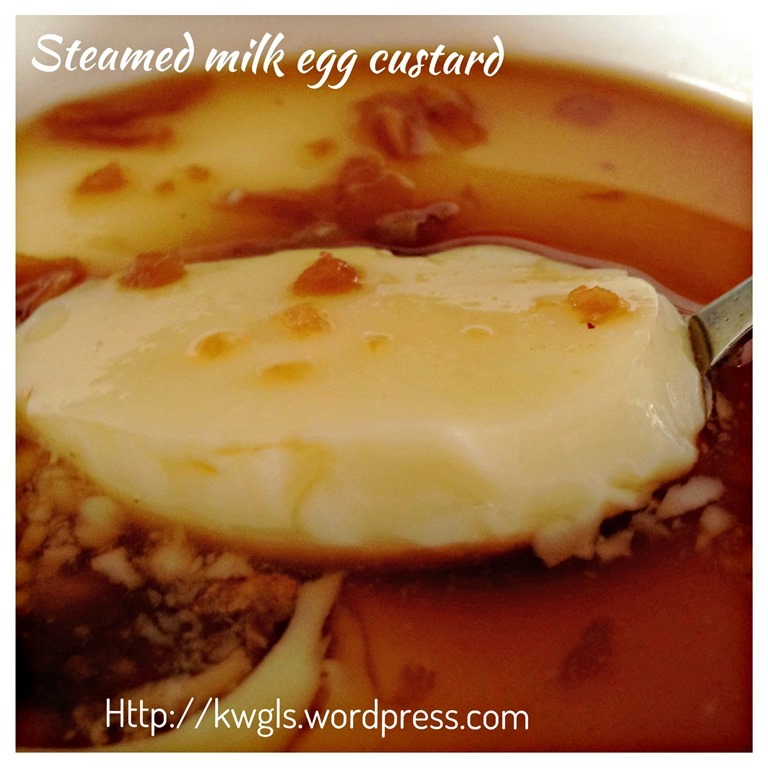 Steamed the custard mixture for 10-15 minutes or until the custard dessert is set. If you preferred, you can use a clingy wrap to cover the steaming bowl. 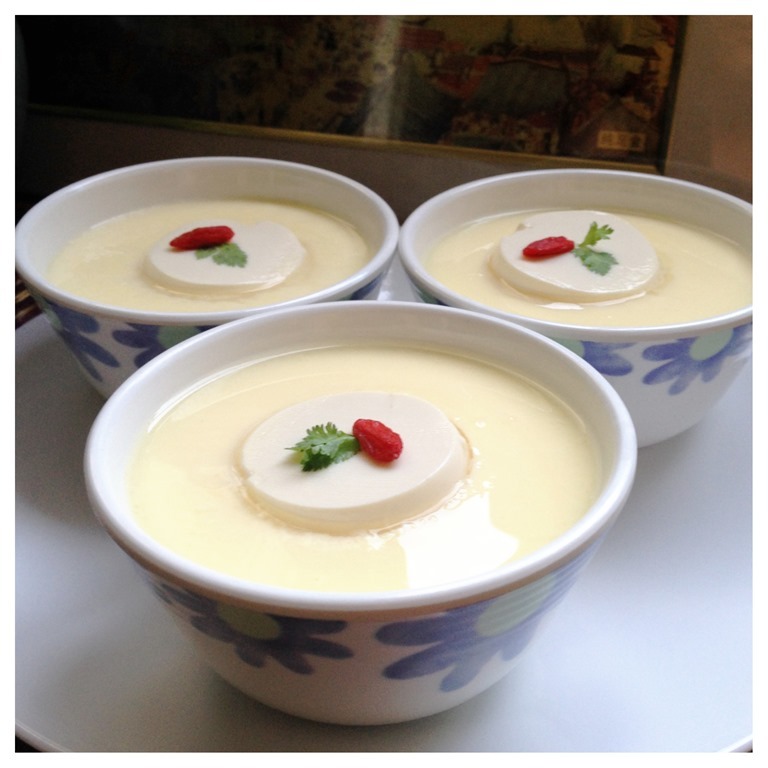 Set means that when you pushed the bowl, the egg custard is not runny and shaking. 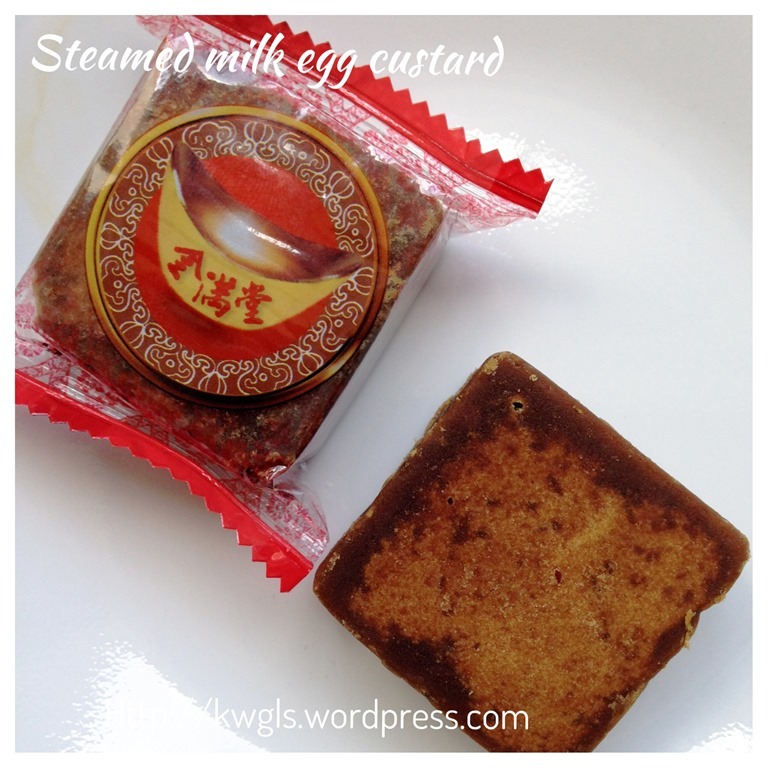 Best served with some ginger syrup (from ginger tea instant package), maple syrup, caramelized golden syrup or even honey). When steaming, the heat have to be medium . 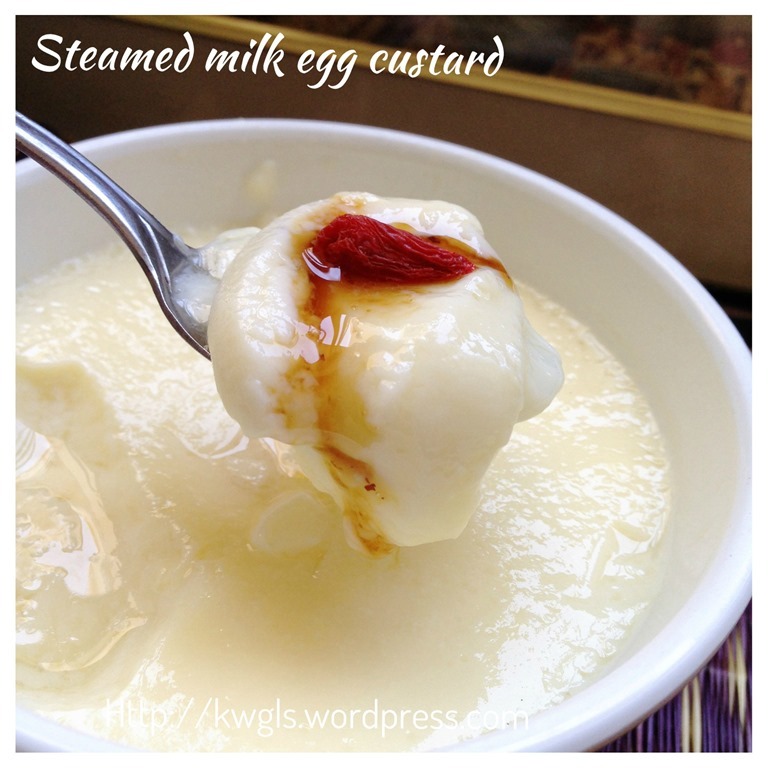 This is my recipe and I am reluctant to associate it with the famous Hong Kong dessert because the recipe differs significantly from the traditional ways of preparation. Just take it as a new hybrid dessert. Do give it a try and tell me if it suits your taste buds. 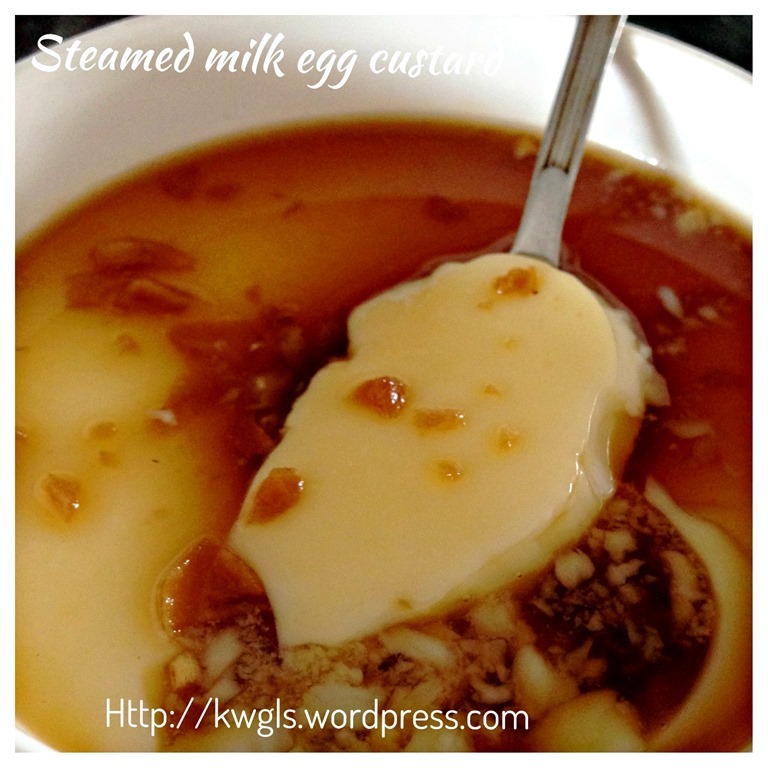 This entry was posted in Chinese and Asian Cakes and Snacks, Desserts, Food Preparation Series and tagged 8, Chinese steamed eggs, 蒸奶蛋甜品, Guaishushu, kenneth goh, postaday, Steamed Egg and Milk Custard Dessert, 姜汁撞奶, 姜汁撞奶. GUAI SHU SHU. Bookmark the permalink.